Another Tourism Project is Born - Krista Hauritz - Tourism, Marketing & Consulting. 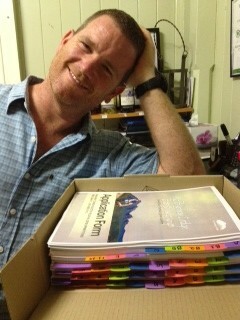 The Mt Barney Eco Basecamp application has been submitted to the Australian Government to seek funding. Here’s the proud ‘father’, Innes Larkin, with his application. Good luck to all the applicants in the inaugural round of the TIRF funds.